Flächen entstehen. Im Rahmen des Forschungsprojektes Intensified Density stellt einen Nachmittag lang eine Runde internationaler StadtplanerInnen und ArchitektInnen Überlegungen zu architektonischen und städtebaulichen Möglichkeiten nachhaltiger Nachverdichtung solcher Gebiete an. Sophie Wolfrum is an urbanist and urban designer. She studied spatial planning at the University of Dortmund and passed the state examination in urban design. With Alban Janson she founded Janson + Wolfrum Architektur + Stadtplanung, which has received numerous awards. Since 2003, she has been professor of Urban Design and Regional Planning at TU Munich. She is a member of the German Academy for Urban Regional Spatial Planning (DASL) and was the Dean of the Faculty of Architecture TUM 2012—2014. The main research areas include contextual urbanism, the city as architecture and performative urbanism. Marianne Skjulhaug is Head of the Institute of Urbanism and Landscape at the Oslo School of Architecture and Design (AHO). She is trained as an architect, has years of experience in urban planning and urban design from practice including The City of Bergen, Asplan Viak and Norconsult. She was the Rector of the Bergen School of Architecture from 2007 to 2012, and has lectured and served as examiner at several institution including GSD Harvard, Ecole Spéciale d’Architecture, Chalmers, KTH and NTNU. She serves as the Vice President at Europan Norway, Board Member for Asplan Viak (stiftelsesstyre), Advisory Board member at Arkitektur, KTH, and sits on the Nordic Council for Green Buildings. She is also an active voice in the public debate on urban spatial development. Matthew Griffin Studied Architecture at McGill University in Montreal (Bsc Arch 1993) and at the Architectural Association in London (AA Dipl. 1996). Co-founder of Deadline, Urban Issue, and LocallyGrownCity.net with Britta Jürgens. Lives and Works in Berlin. Active in various citizens initiatives, including Bürgerinitiative Invalidenstrasse, Team11 and Initiative Stadt Neudenken. Deadline’s work explores the structural changes taking place (technological, social and economic) at the end of the mechanical age, and their particular effects on architecture and urban planning. To realize their projects they assume multiple roles intertwining political activism, project development, and design. Deadline strives to inspire and empower people to create their city themselves, and explores these themes in the blog locallygrowncity.net. 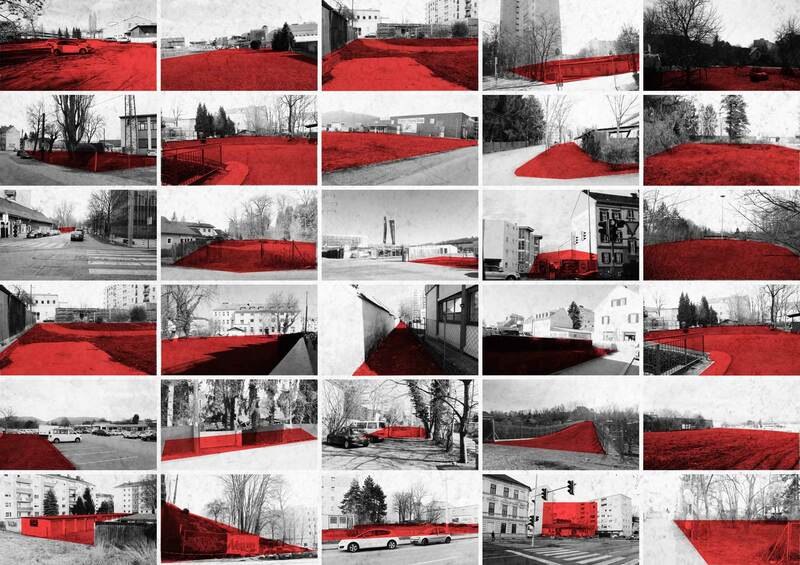 Bernd Vlay (*1964 in Graz) is an architect and urban planner based in Vienna. He studied Architecture at TU Graz. From 1996–1997 he served as the director of the architecture department at Forum Stadtpark and since 1999 he is the secretary general of Europan Austria. He has been teaching widely e.g. at the Academy of Fine Arts in Vienna and Cornell University, Ithaca, New York. He has worked in varying collaborative partnerships among them transbanana and transparadiso. In 2008 he founded StudioVlay and 2017 Lina Streeruwitz joined the company, extending to StudioVlayStreeruwitz. Aglaée Degros is professor and chair of the Institute of Urbanism at Graz University of Technology. Aglaée was born in 1972 in Leuven, Belgium, and studied architecture in Brussels, Karlsruhe, and Tampere. In 2001, she cofounded Artgineering, an office dedicated to improve the relation between landscape, city and infrastrutcure based in Rotterdam, which moved to Brussels in 2014. Degros has held various teaching positions and visiting professorships at Delft University of Technology, the Rotterdam Academy of Architecture, the Free University of Brussels, the Academy of Fine Arts Vienna, and Vienna University of Technology, among others. Degros is co-editor of Public Space and the Challenges of Urban Transformation in Europe (2013) and co-author of Brussels, [re]discovering its spaces (2014). She regularly serves as jury member at international urban planning and design competitions. Walter Benjamin and Asja Lacis observe the intertwining of urban spaces and the urban texture from a cultural and social perspective. The layering and mélange of spaces, the perforation of borders and the ambiguity of thresholds are perceived as specifically urban qualities. In contrast to that the modernist city continues to be characterized by homogenous zoning classifications and solidifying borders. ‘Porosity’ becomes a counter model, a critique of this city. As Amin Ash and Nigel Thrift put it, “porosity is what allows the city to continually fashion and refashion itself.”3 For them the focus is on people’s everyday life, as it comes to life in the report on Naples. The porous city could enable typical urban ambivalences: distance and proximity, exclusion and integration, heterogeneity and homogeneity, anonymity and community, penetration and density. This requires significant urban spaces as well as, at once, a dense interweaving and use of these spaces. Richard Sennett, who understands the porous city as a site of radical mixture, puts his finger on the wound and asks: Why don’t we build them?4 Even regarding the porous city from an explicitly architectonical perspective, ‘porosity’ becomes a crucial spatial criterion. A dominant consensus amongst urban planners, scholars, politicians and developers is that sustainable urban development is achieved through density and the model of a compact city. A strong urban discourse departing from urban thinkers (e.g. Jacobs, Gehl, Florida, Calthorpe) has for several decades proclaimed the importance of the diverse and vital city core, as opposed to ideals and principles inherited from modernism. This has happened in parallel with a growing awareness of the need for a more sustainable urban development. These discourses have moved forward hand in hand. More pedestrian-friendly, compact city centres have been regarded as prerequisite to sustainable urban development. Drawing on a heated real estate market these arguments have resulted in transformed and intensified central parts of Oslo. For the sake of sustainability several public transportation hubs has become dense urban fabric, the Barcode area close to the central railway station serves as the most significant example. However, Oslo has been one of the fastest growing cities in Europe until this year. This summer we have experienced a housing market in decline as well as adjusted forecasts on population growth. A new economic and demographic condition has unexpectedly actualised questions related to how to meet sustainable ideals of a compact and walkable city when the real estate market as supporter becomes weaker. Apparently densification cannot only be translated to building new square meters. I will reflect upon how a new reality opens for new priorities and solutions. Expanding Architecture — Why leave the most important decisions to developers? Should the highest profit margins be the primary driving force behind urban development? How can a project address the specific needs of a neighborhood? How can we fulfill the long term needs of people who need space to live and work, despite extreme short term speculative pressure? How can an architectural practice and local governments address these questions in concrete projects and processes? Deadline’s latest project, Frizz23, is a building co-operative for cultural industries currently under construction in Berlin Kreuzberg, a stone’s throw from Checkpoint Charlie. The ex-industrial site was one of three sold in Berlin’s first concept-based land sale procedure. This entirely new structure provides 4.700 sq m of net floor space for small organizations in art, culture and education. To transform Frizz23 from idea to reality, the architects designed and implemented an innovative two tiered building co-operative. The architects adapted the Baugruppe (building group) model that has been tested in Berlin for two decades in housing, to meet the needs of small culturally based companies. Following the guiding principle first the dialogue, then the design the architects explored the potential of urban participation on multiple levels. The thirty-two member co-operative organized by the architects participated directly in the design process throughout the six years from conception to realization. Frizz23 is the first new building for cultural commercial space in Germany to be built by a Baugruppe. If we understand strategic urban design as the development of concepts that substantially manipulate the structure of our environment, ranging from the small to the large scale, we have to admit that this kind of design has become an alien, isolated from the everyday business of architects and urban planners. This eviction has a very good reason: not only does strategic urban design suffer from a painful lack of implementation. Moreover, as a business for offices, it lacks any economic feasibility: in Austria, the fee for a preliminary design for 100 housing units is considerably higher than the fee for an urban design for a neighborhood of 10.000 people. What if the lack of implementation and this unbelievable economical imbalance mirror a fear of spatial transformation? A fear of concepts which go beyond the discipline’s criteria, demanding new responsibilities from different kind of actors? A fear of concepts that include a new administrative and political agenda that has to be followed in order to achieve its ambitions? By means of showing a selection of concrete projects, ReSourcing describes our office’s hard but exciting attempt to safe strategic urban design from becoming a mere academic discipline. Through short-circuiting socio-political discourse and interdisciplinary research with the core-topics of our architectural discipline, ReSourcing might be a method to keep the endangered species of “strategic urban design” alive in our everyday profession. At the same time ReSourcing wants to provoke a discussion about possible links between the high ambitions of academia (as “Intensified Intensities” proves) and the business-as-usual of architectural practice out there. Increasing the density of the urban sprawl concerns, of course, the building typologies, but also the value accorded to the common. While the sprawl is the result of an urbanism based on the addition of individual plots, increasing the density of these fabrics or designing new areas with a higher density, requires an urbanism that refocuses on the value of the common. Could the 3 notions of the french “Territoire”, the german “Freiräume” and the dutch “maaiveld” help in qualifying the value of the common? Leading to an urbanism that starts with planning the public space followed by the individual plots, rather than the other way around?